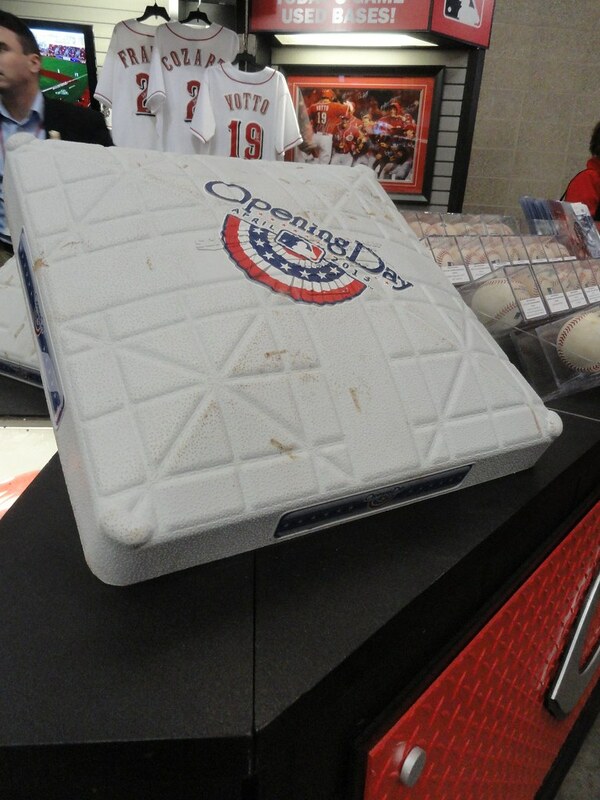 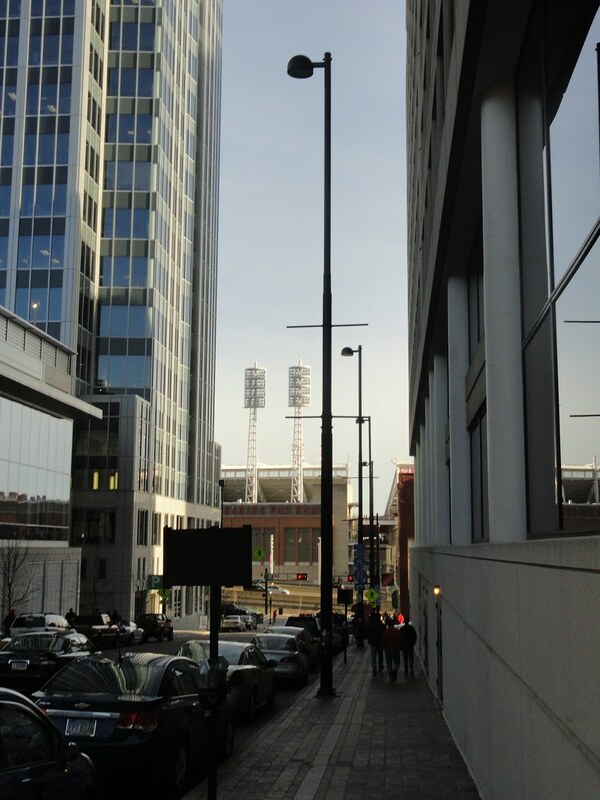 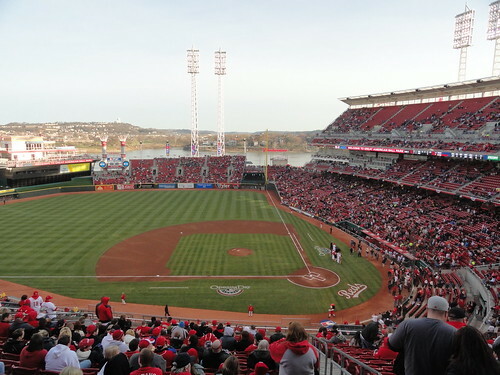 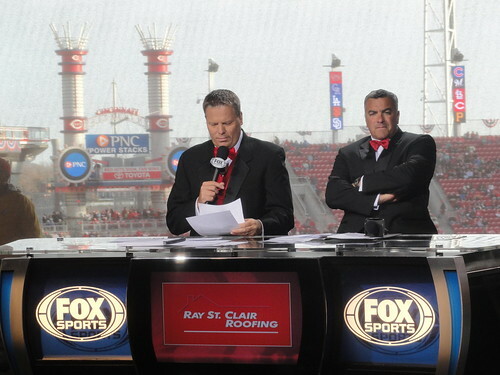 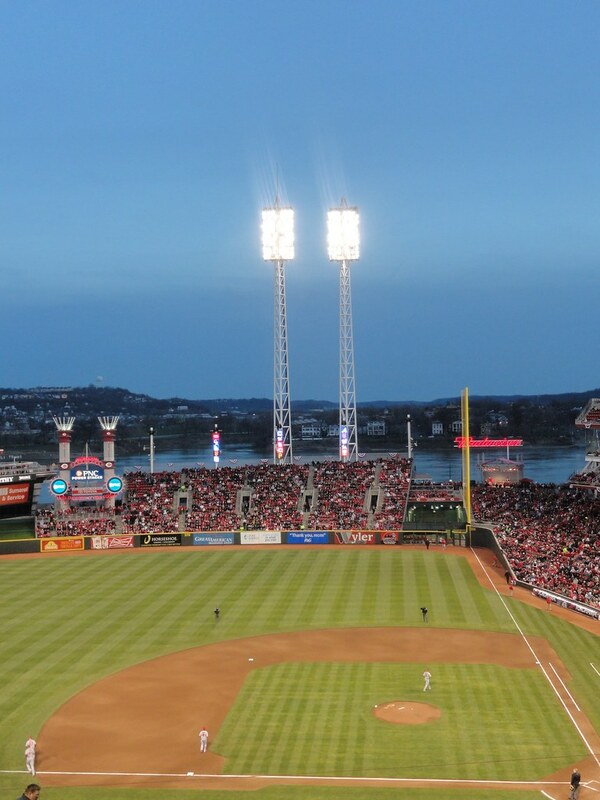 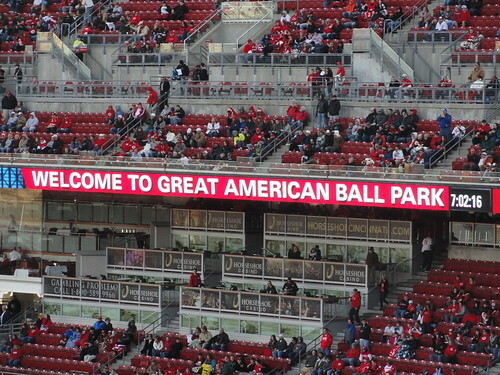 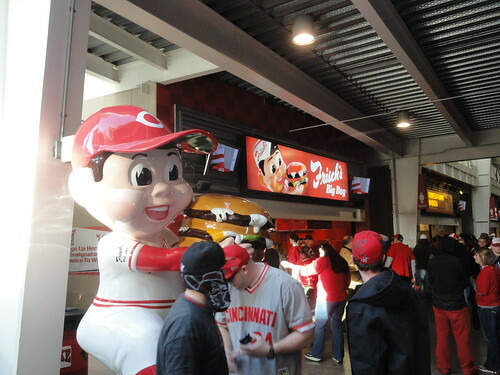 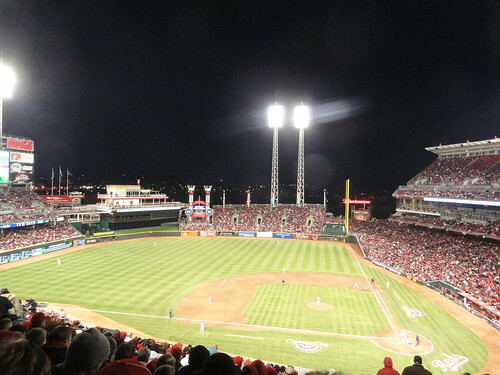 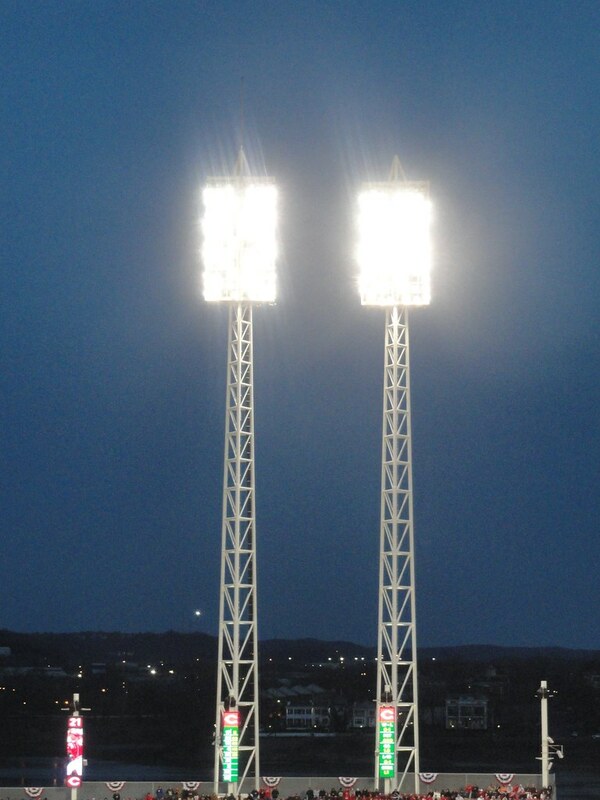 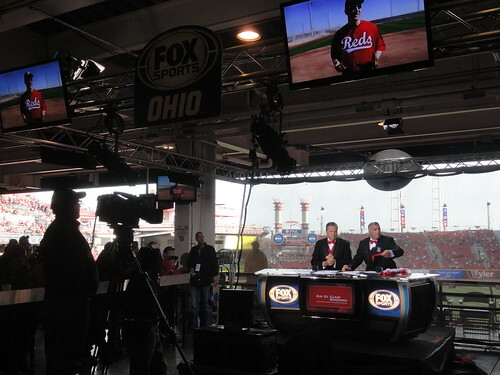 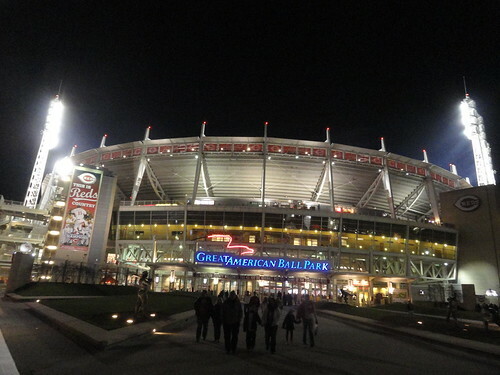 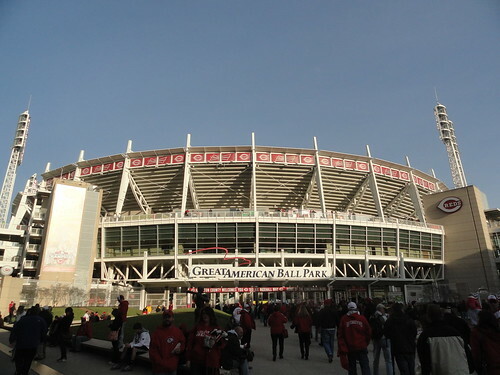 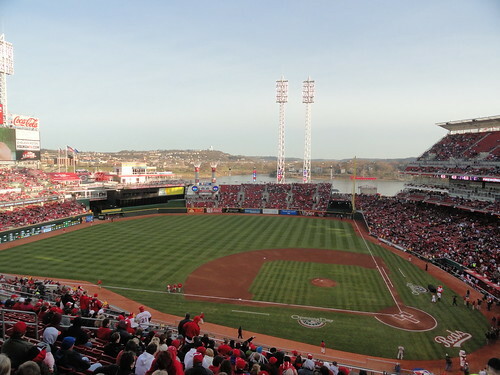 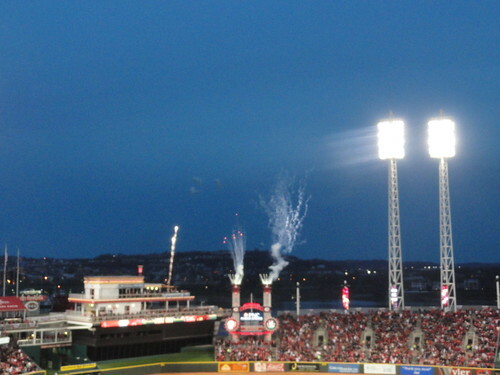 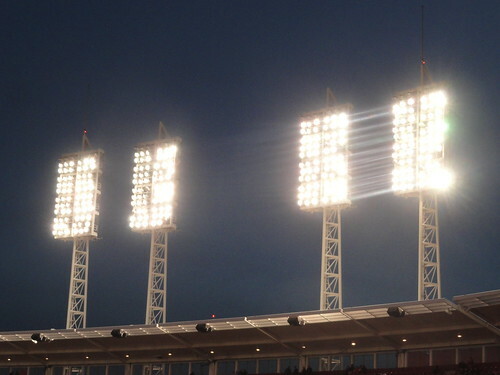 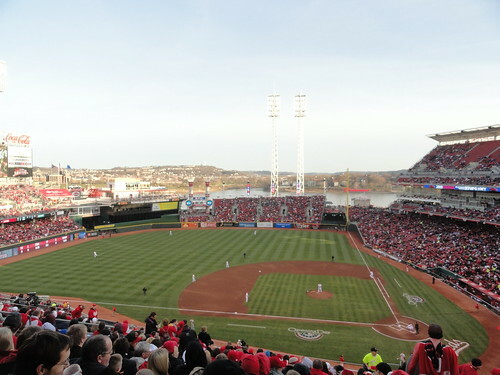 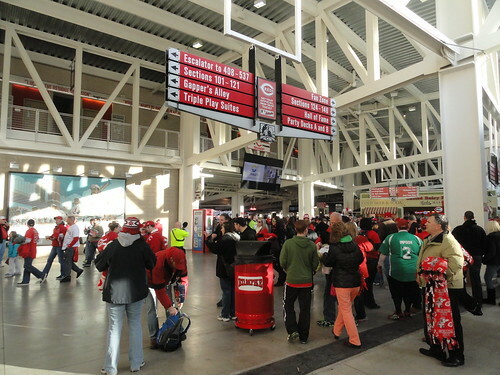 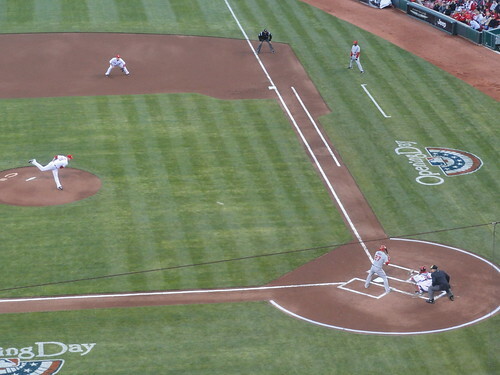 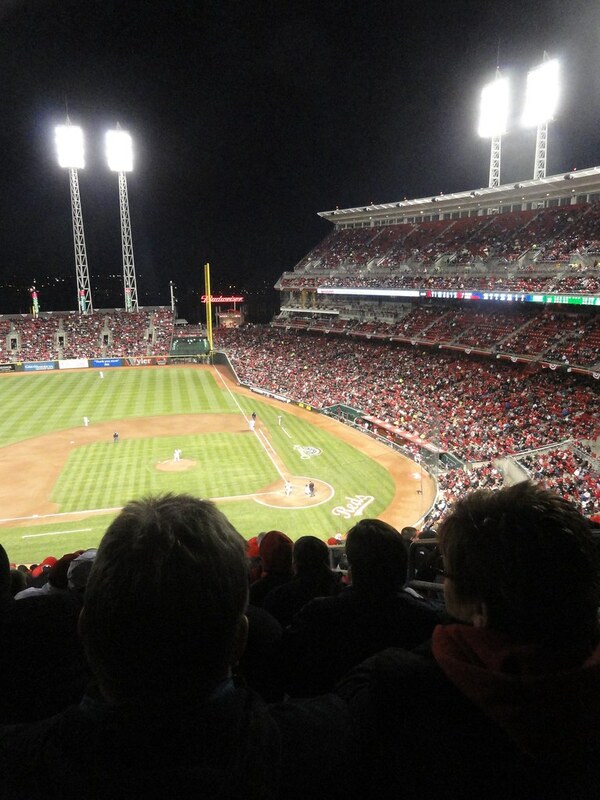 Today was Opening Night for Reds baseball! 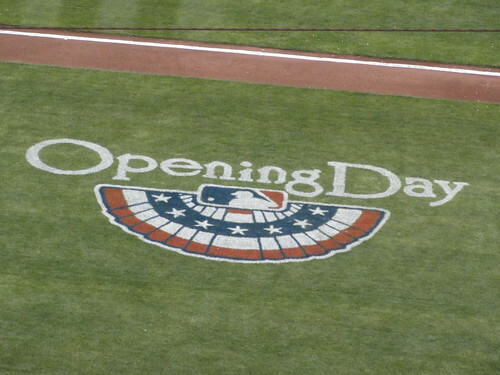 Let's go!!! 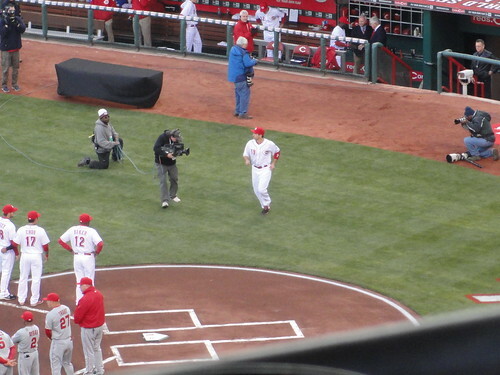 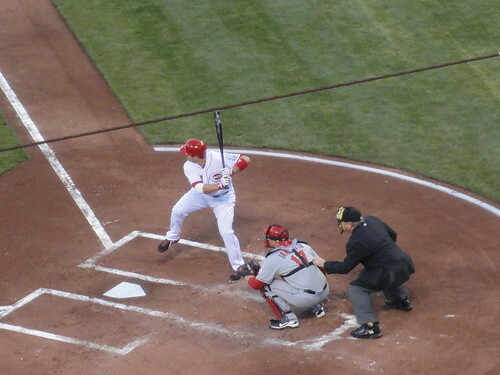 And speaking of cha-ching, Votto! 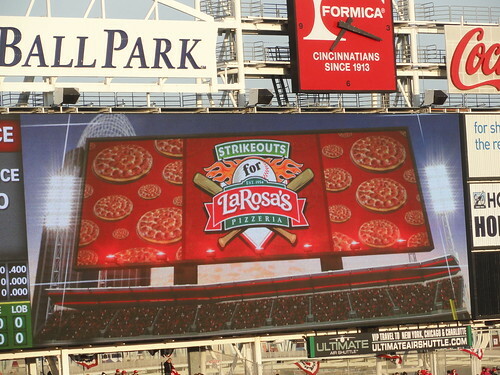 And they're doing Strikeouts for Pizza again! 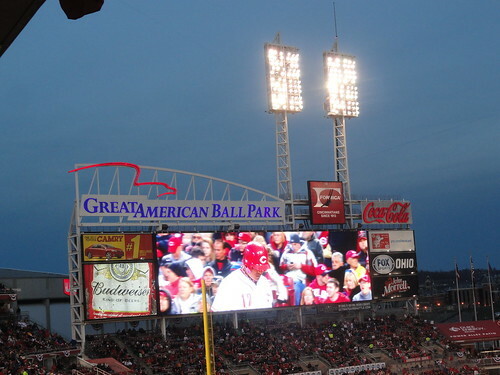 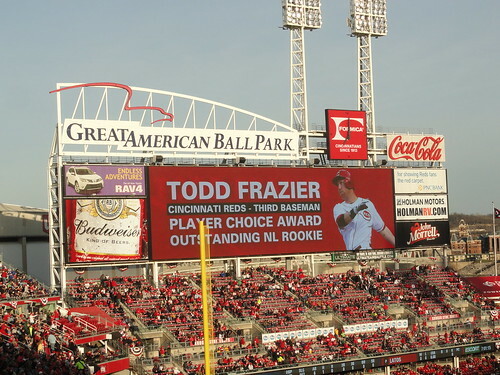 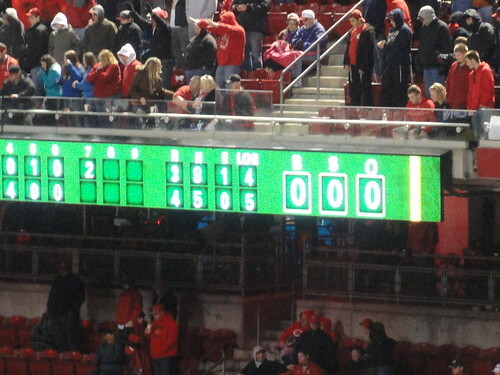 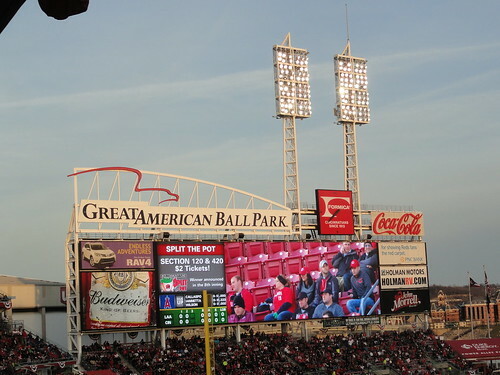 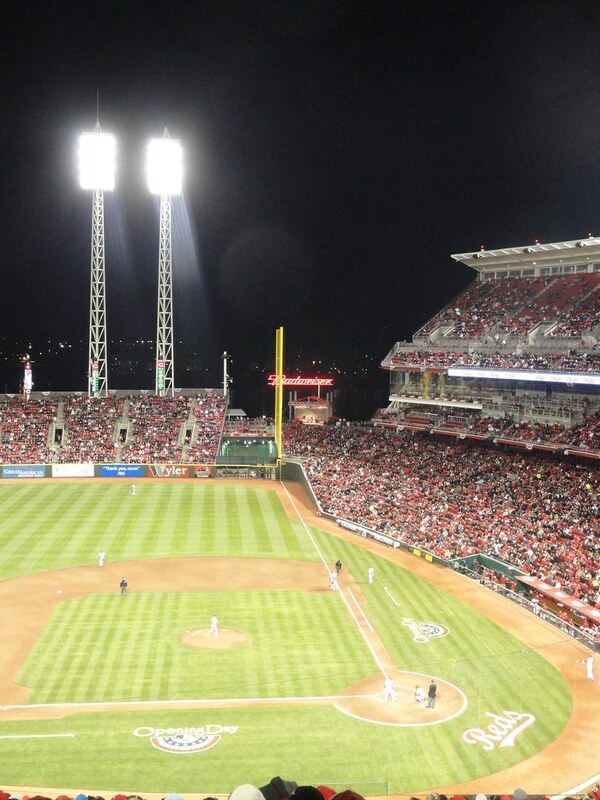 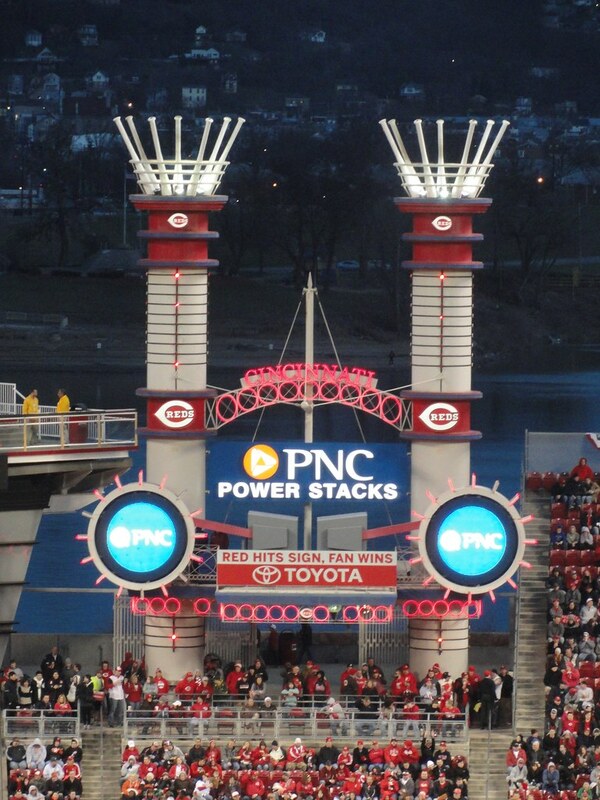 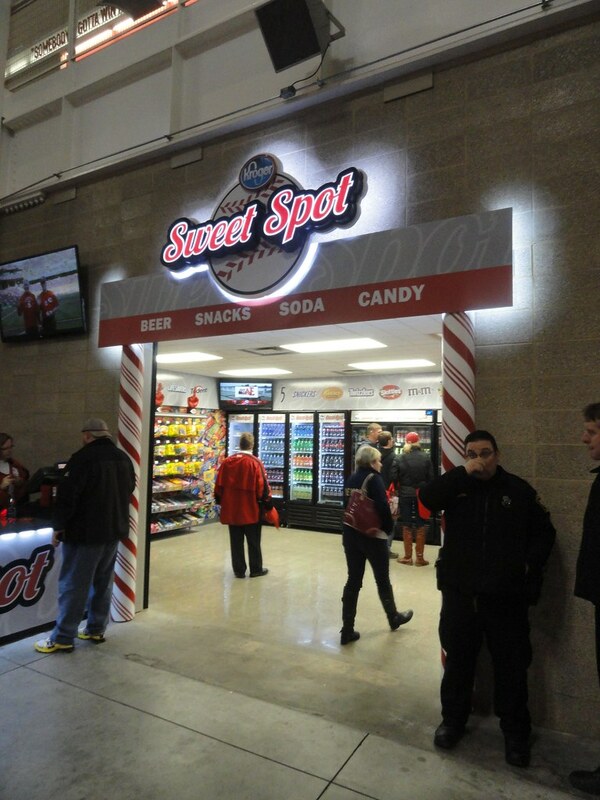 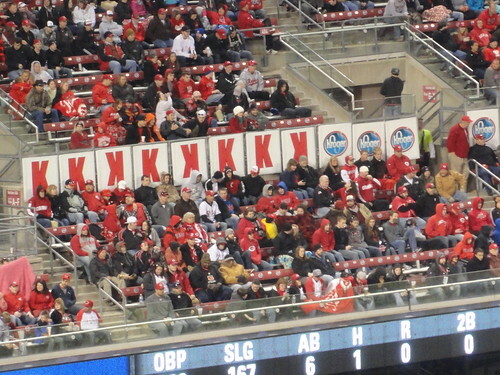 Eleven strikeouts by Reds pitchers in a game and everyone gets a free personal pizza! 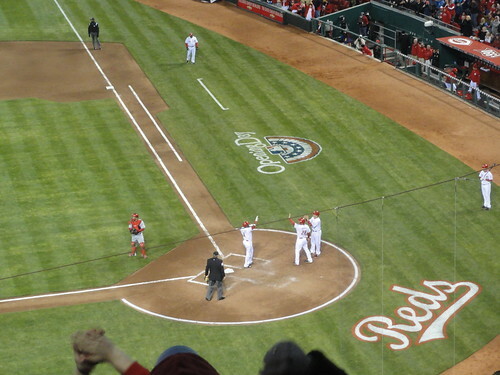 Brandon Phillips got the Reds on the board with a three-run blast! 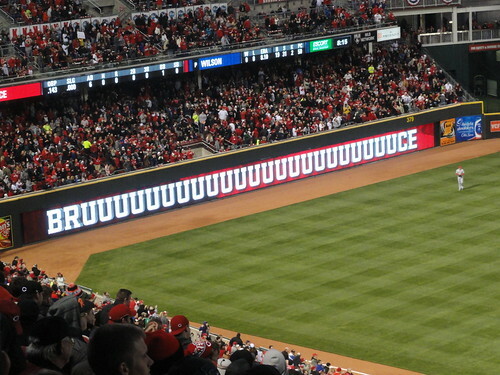 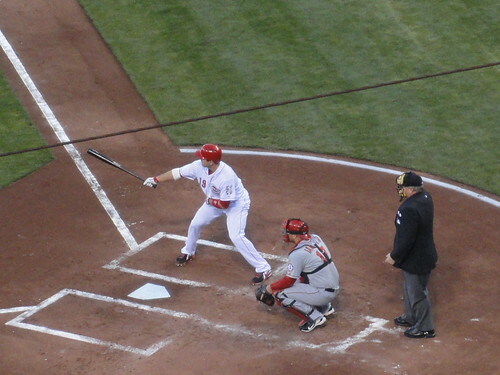 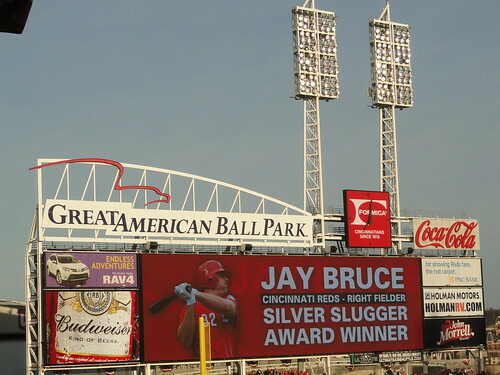 And Jay Bruce followed him with a triple off the wall! 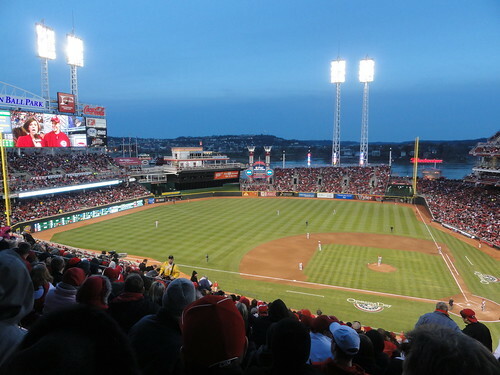 little bit warmer when we go to the game on Sunday to see Cueto pitch against Strasburg!